A branding proposal is a way to introduce your offer to the potential client. It is not a very good option to create a superior plan as it would not create a good impact on the prospective client. Your proposal requires being powerful, efficient and should address all the information to the client. As it would never be appreciable if a client asks a consultant to prepare another version of the proposal for better understanding. An executive summary deals with everything that is important for a client, and he should be able to understand your proposed project. Consider that the reader or client does not know anything and you have to inform regarding the proposal from scratch. If you are preparing a significant proposal, be specific to the size, as it does matter a lot. Keep your plan as short and crisp as possible to meet the client’s request. Quality brings results and not the quantity. When you have a potential idea or a high concept to complete the project, convey it to your clients. Hoard your ideas to your clients so that clients can understand how your team thinks and make a determinant approach to your problem. Usually, the proposal tends to talk about several things such as discussion about consulting firm, prospects, and history. However, is that a need of time? No, first focus on client’s needs and then describe capabilities of your firm. Make sure that client gives attention to how you solve their problem and not an else thing. The client has nothing to do with what tools do you use and methodologies you prefer. The client will always pay attention to how you measure the success and bring desired results to them. Thus, your client wants results and not methodologies. It is great if your client has a big budget to collaborate but for those who do not have money, shift the budget details to the end of the proposal. Try putting all the strengths in the prior portion and mention the budget at the end of the project. Show them your potential in the previous pages and make your high points as long as possible. So, that at the end where you mention the cost, the client cannot back out from the fantastic proposal. 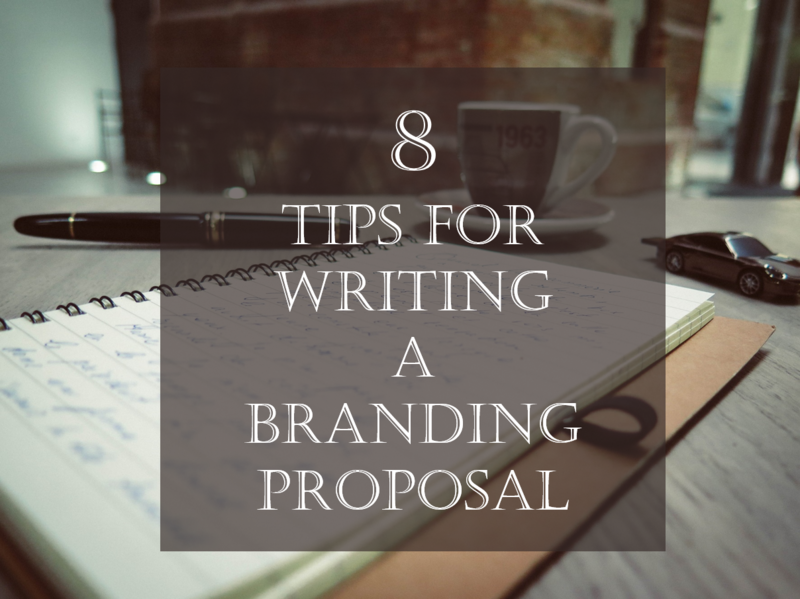 Try to finish writing the branding proposal as early as possible so that you spare enough time to check. Reading and checking will open the gates for you to correct mistakes and enhance your work. You might find some errors at this point, and that could be negative for your proposal. Unleash the culture of your firm and way of working. Present everything and all the creative powers such as experience, enthusiasm, and interest. Do not let extreme formal language indulge with your proposal and rather keep it a little casual, as clients will love that semi-informal stuff. Make sure you answer all their questions without having to put them before you. Lastly, make sure to do the best of your power as a significant proposal can be winning whereas a not so good will compel the client to change the direction. Remember the guidelines mentioned above and use them correctly while making a branding proposal.